Silicone Transparent Tubings are appreciated for their reliable features like superior flexibility, elasticity and compression property. In the medical field, these tubes are used as they do not get stick to the tissue and allow proper functioning. In automobile industry, the offered range is meant for transferring of various fluids. Our organization tests these tubings on numerous quality constraints under the strict guidance of our professionals to maintain the quality of product. These are featured with features like resistance against dry heat, steam, oxidation, ozone and radiation. 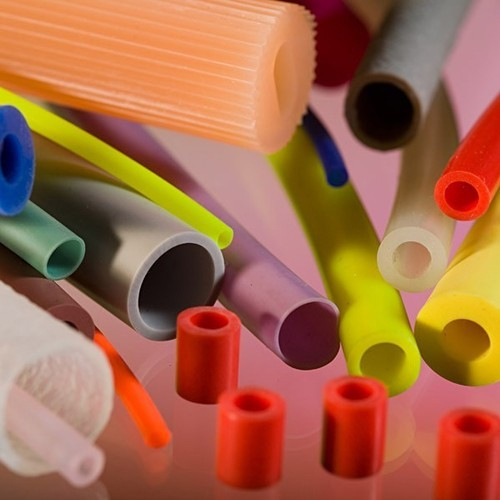 Ergonomically designed to serve different industries, the presented range of Nitrile Tubings is broadly appreciated for resistance against petroleum oils, minerals, alkali, acids and vegetable oils. Being the cost effective solution, these tubings are meant for transferring aromatic or non aromatic hydrocarbon fluids and anilinated oils. These tubings are fabricated using highly tested components in collaboration with modern machines and high end technology.